Chris Pine (Star Trek) leads a cast of formidable actors Keira Knightley, Kevin Costner and Kenneth BranaghKeira Knightley, Kevin Costner and Kenneth Branagh in the latest big screen incarnation of the famous Tom Clancy character. 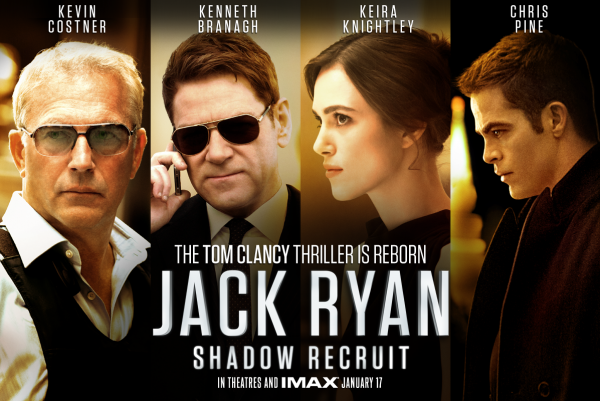 Jack Ryan: Shadow Recruit is released and distributed by United International Pictures through Solar Entertainment Corp. It will open in Philippines cinemas on January 15, 2014.